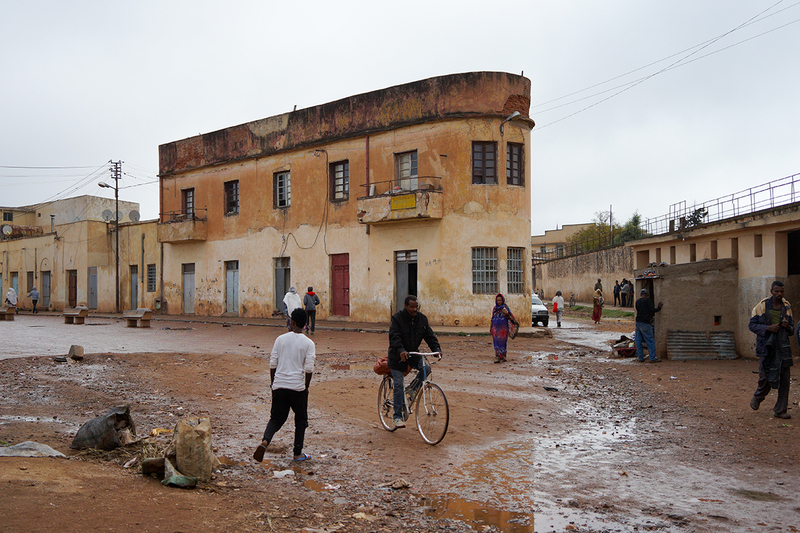 Walking the central streets of Asmara, Eritrea, for the first time can be quite a puzzling experience for a foreigner. The capital city is full of structures and modernist buildings that blend Art Deco and Futurist styles. Shops and bars have signage that could easily be found in Italy: Farmacia Centrale, Bar Crispi, Cinema Roma, mixed with many in the Tigrinya and Arabic languages. 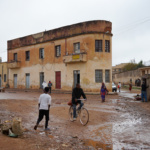 In fact, the city was planned and built in its current form during the Italian colonization of Eritrea starting in the 1890s. When the Fascist Regime took over, Mussolini set out to build an overseas empire with Asmara as the model city of his colonial expansion. 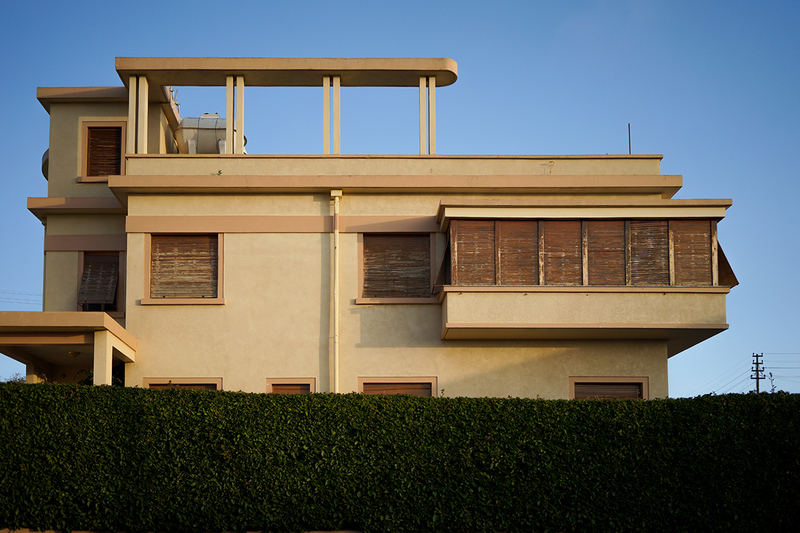 Many recognize the effects of colonization on the architectural quality of the city. But few acknowledge one of its most controversial aspects: racial segregation. 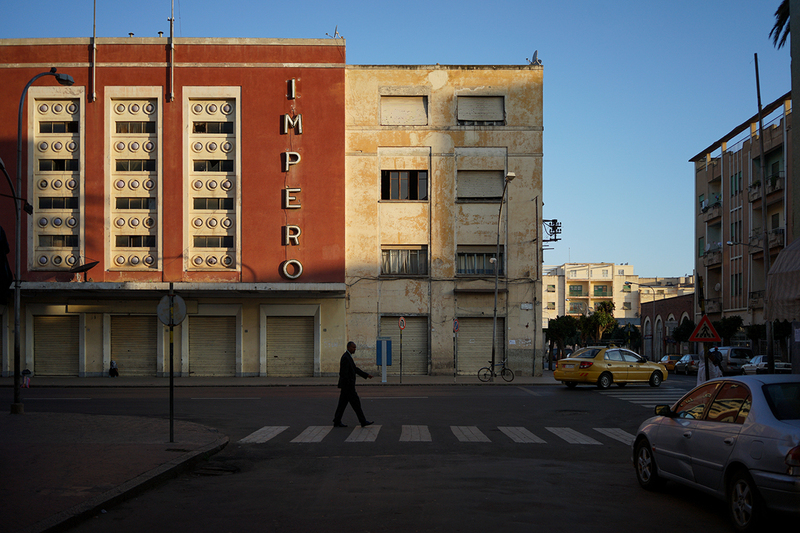 Since the very beginning, the city’s master plans aimed to separate Italians from Eritreans and enforced this when dividing the city into four separate sections: a European-only quarter in the south, an Eritrean quarter in the north, a mixed zone around the central market for both groups, and an industrial zone in the northeast. 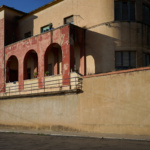 Historically, Eritreans needed a special permit to cross into the European-only side of Asmara to go to work as housekeepers, artisans, and masons. Today, some of the local elderly still refer to the city’s center as the “Fenced Field” because one of the original Italian outposts was called Campo Cintato–or “fenced field” in Italian. 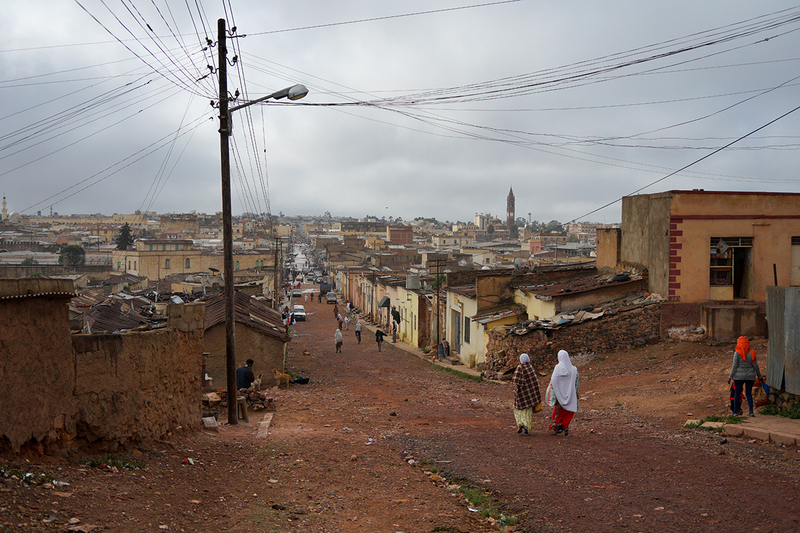 The Eritrean quarter, known as Aba Shawl, was the most densely populated in the city and largely left unplanned. Ninety years later, the effects of this lack of planning are still visible today. 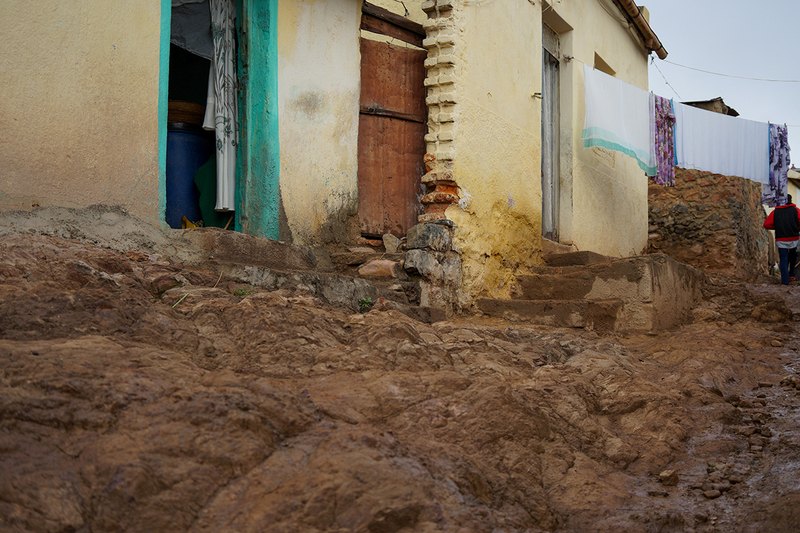 The construction quality of the buildings is not comparable to the rest of Asmara; some have neither running water nor bathrooms. 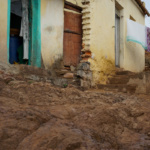 When it rains, the streets get coated in mud because there is no stormwater drainage system. The people who live here are still poorer than inhabitants elsewhere in the city. 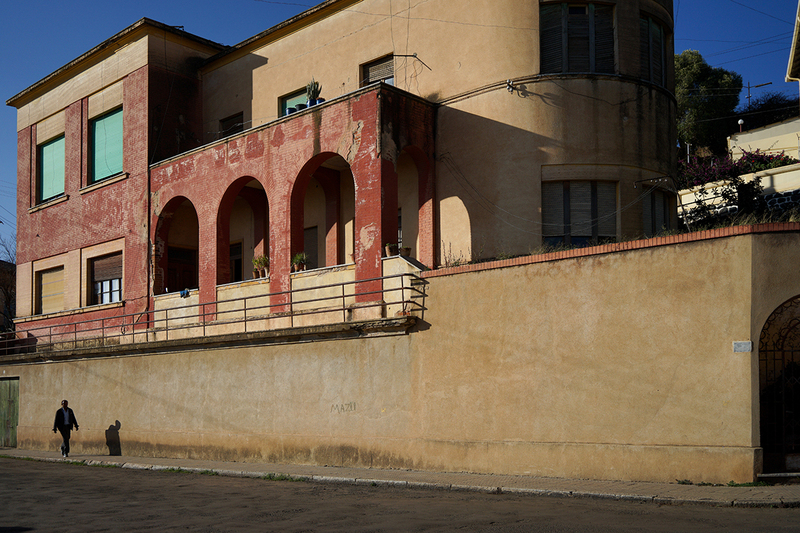 But despite all of this—or perhaps due to the lack of planning—Aba Shawl has become the Eritrean face of Asmara, which complements the Italian part of town. 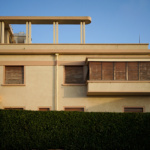 Starting in the 1910s, Italian architects merged vernacular Eritrean elements into the architecture of the city—both in Italian and indigenous areas—and constructed a mosque, an Orthodox church, and movie theaters for the Eritrean population. In 1938, the Fascists, intending to enforce newly drafted racial law, set forth a plan to bulldoze Aba Shawl and relocate its dwellers farther out from the city center. However, the local governor—afraid of alienating the indigenous population—stopped the plan. 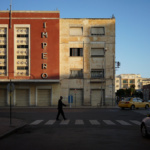 A few years later, Mussolini lost control of the country to the British, and Eritrea began a decade-long struggle to achieve full independence. This didn’t come until 1993, after a gruesome war with Ethiopia. Since then, the Eritrean capital has been in the process of reclamation and reappropriation of its colonial past and architectural legacy. 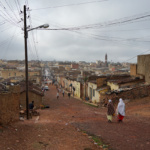 In 2017, UNESCO declared the center of Asmara, including Aba Shawl, a world heritage site.